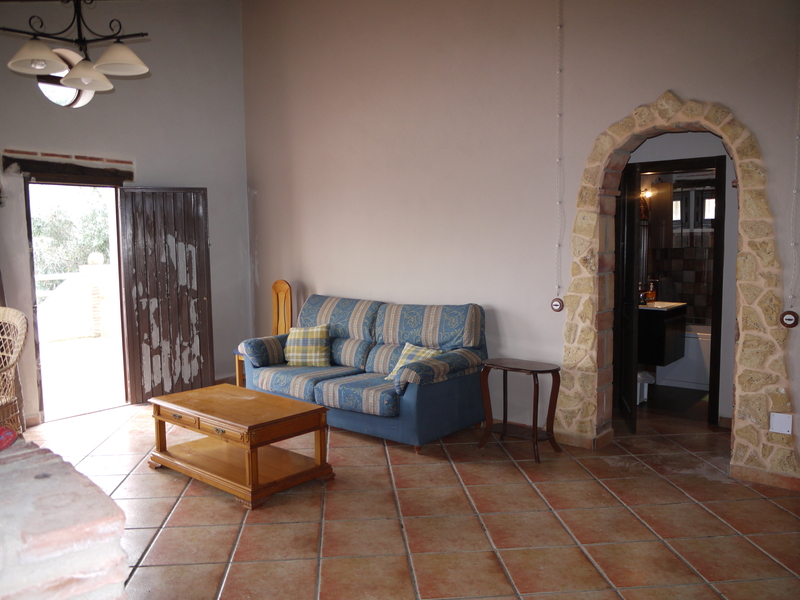 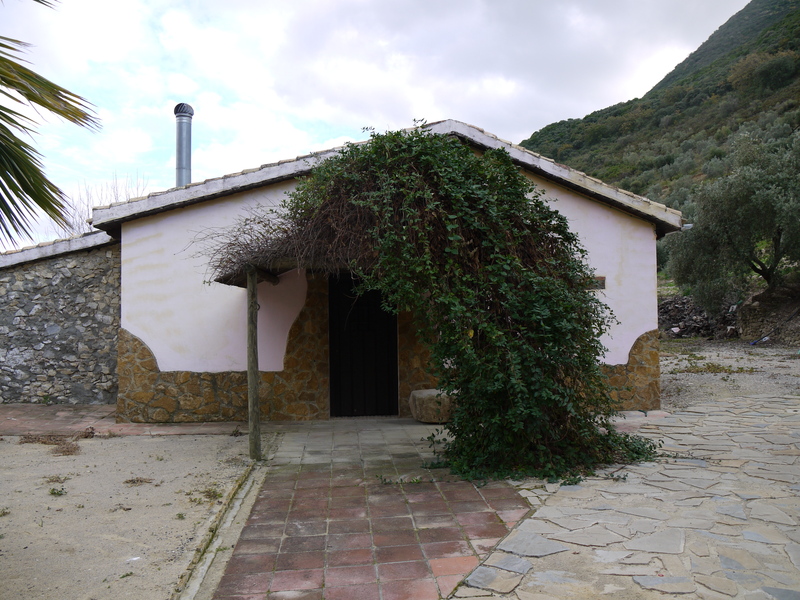 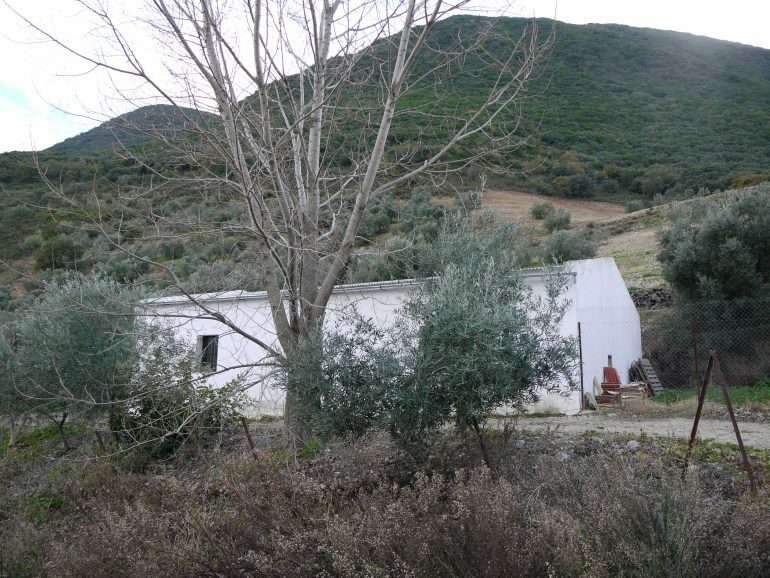 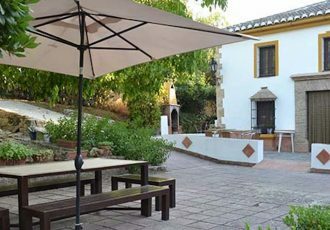 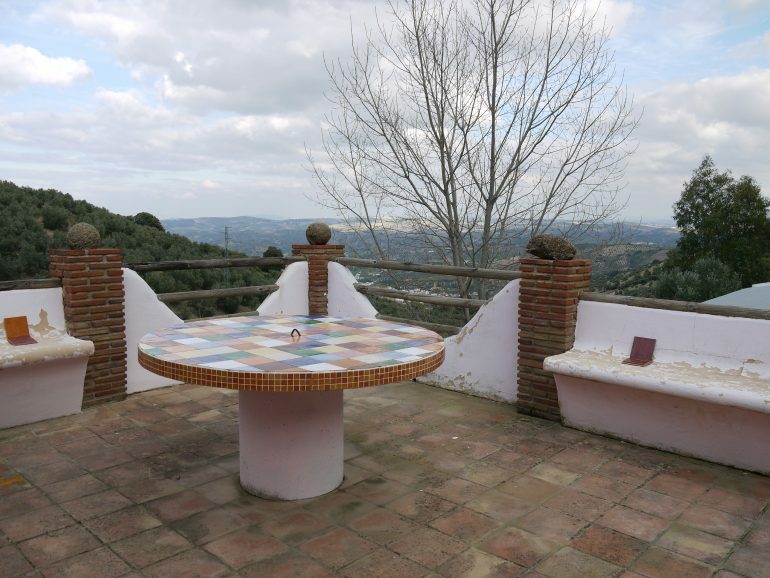 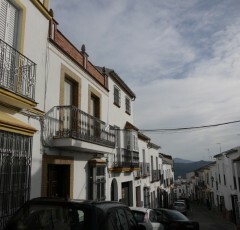 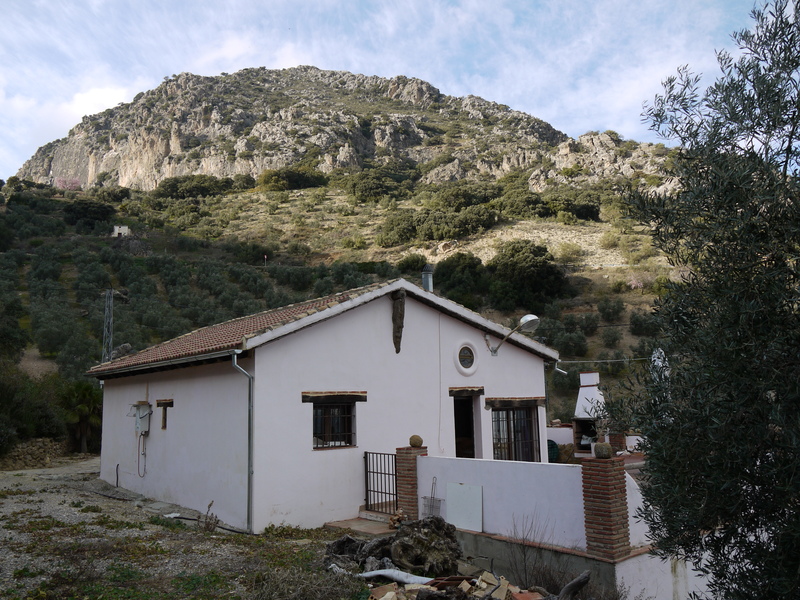 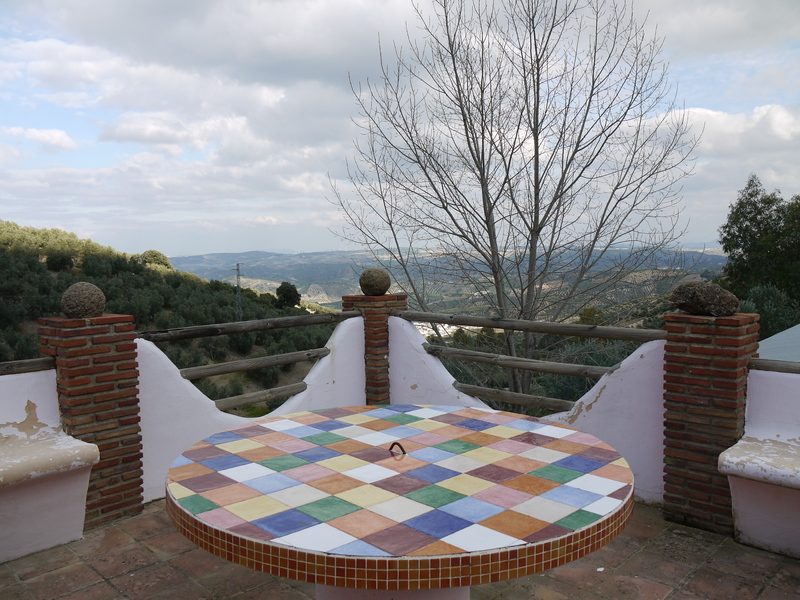 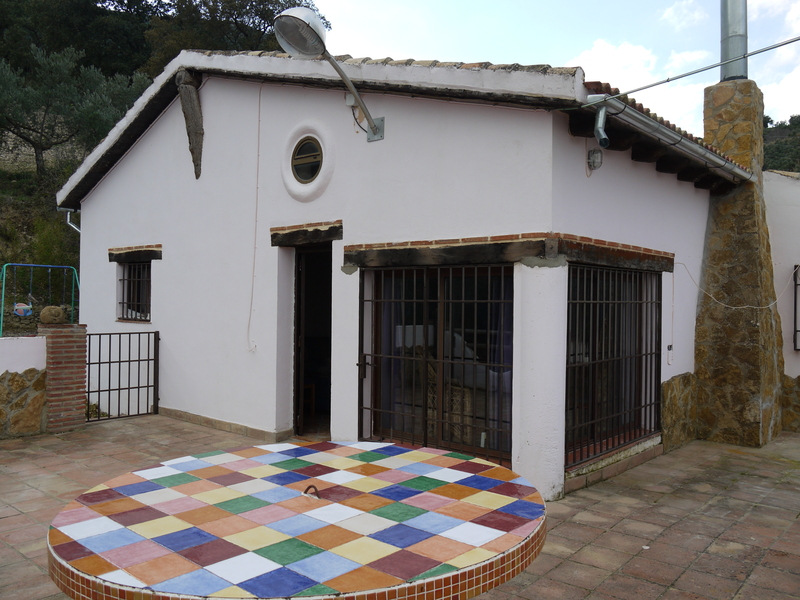 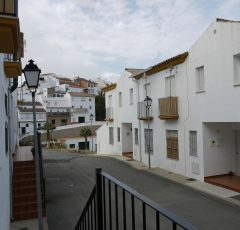 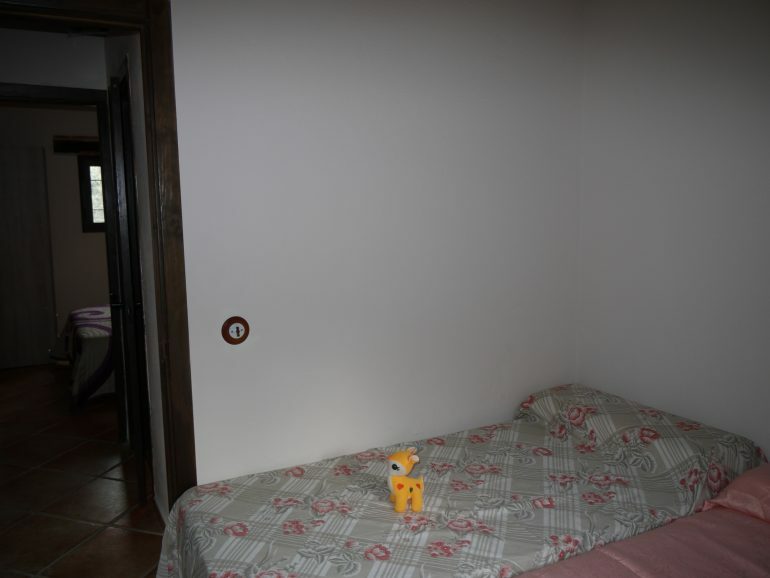 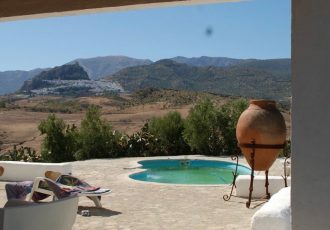 A cute but surprisingly spacious country property, situated midway between Algamitas and Pruna in the south of Seville province.Right in the heart of the Sierra de Terril with its many walking routes and stunning mountain scenery. The property is entered via a private drive with large security gates, the house has two large bedrooms and a family room, open plan to the fitted country style kitchen with large open plan fire place typical of the country properties in this area. 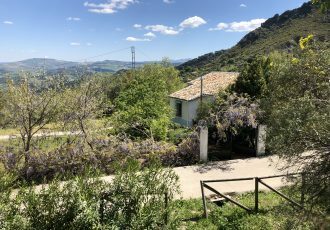 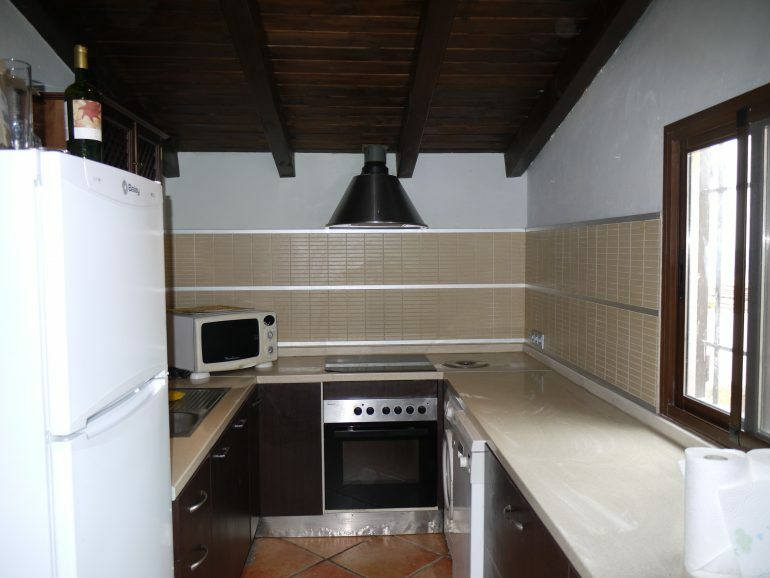 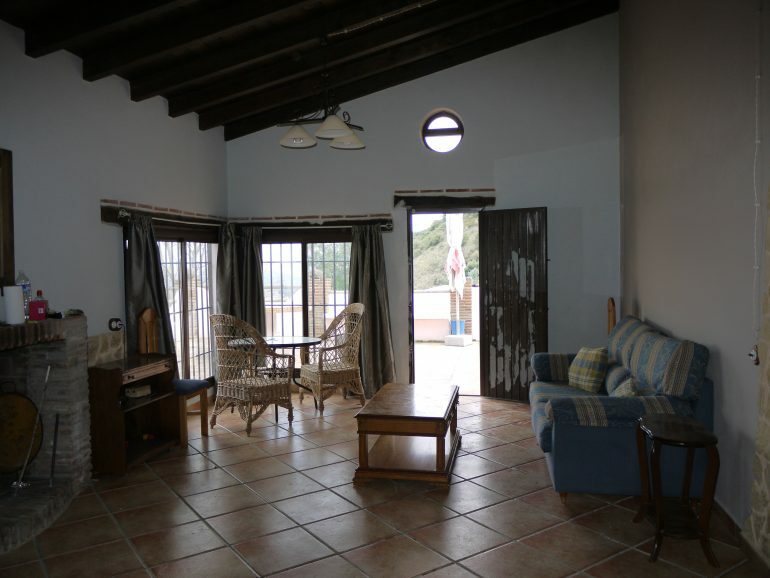 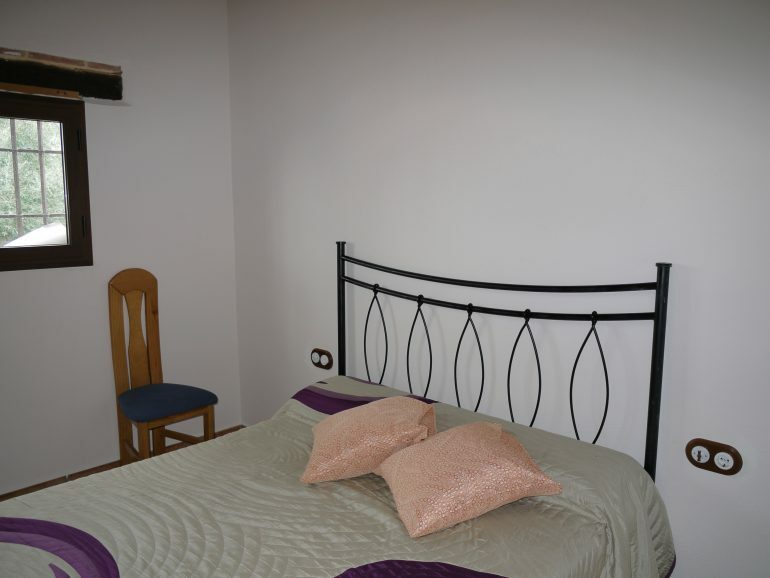 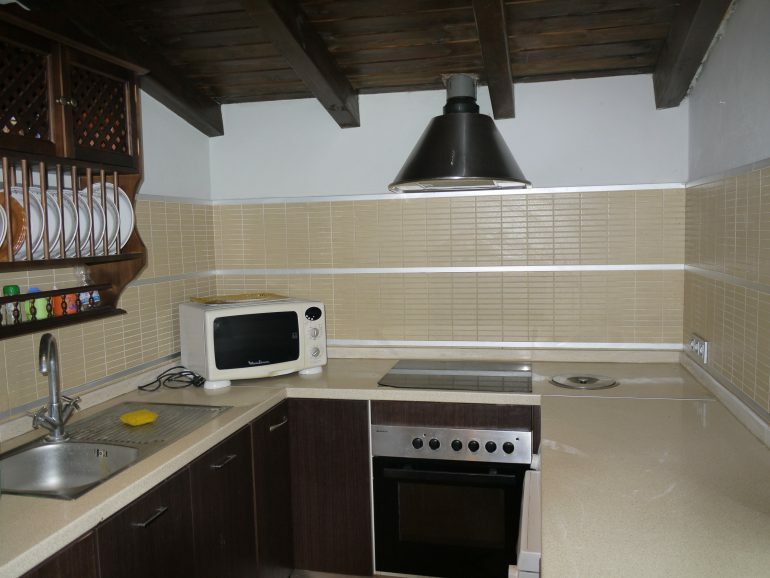 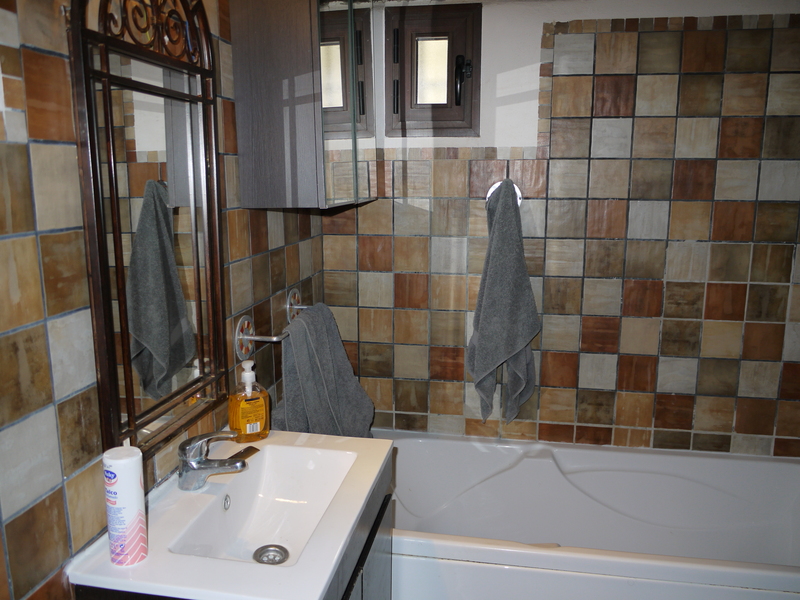 The chalet finished with a rustic country style is in good condition and would suit full time living or holiday home alike, with large windows and doors leading out to a wonderful enclosed terrace with far reaching mountain views. 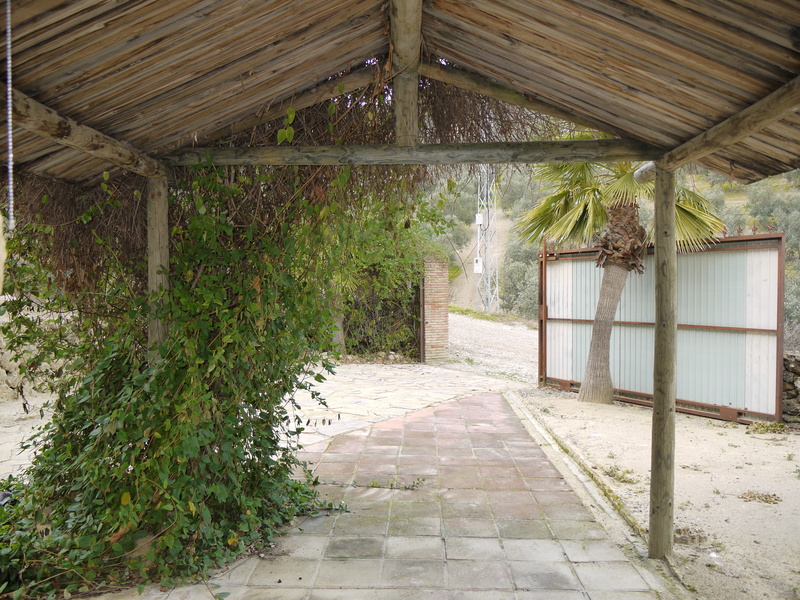 Underneath the main house is a large garage perfect for parties or further development. 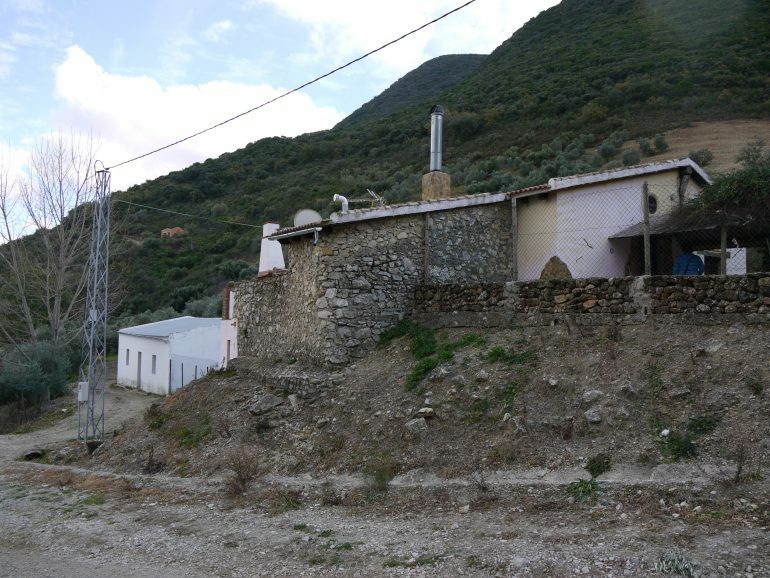 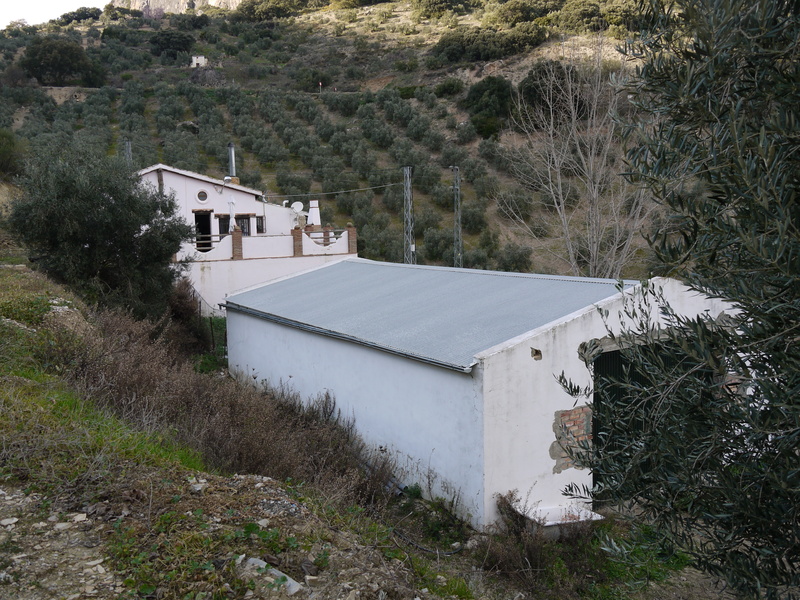 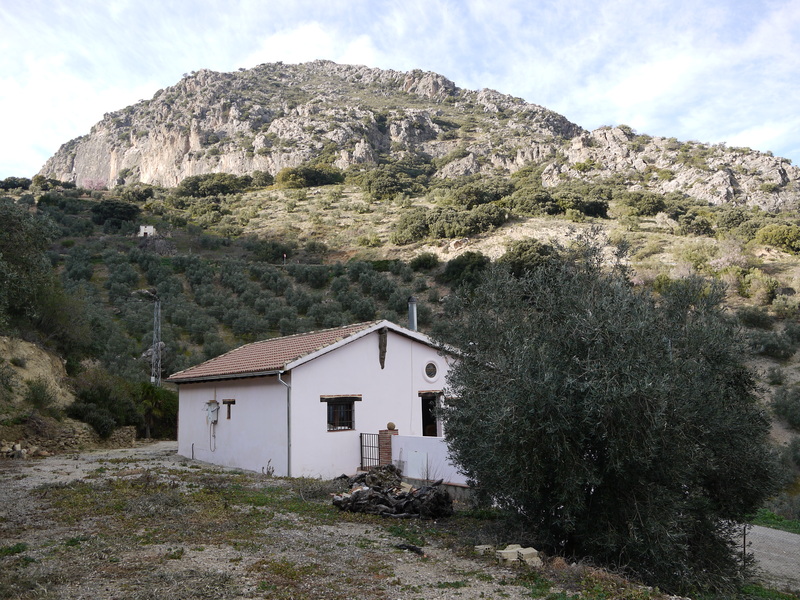 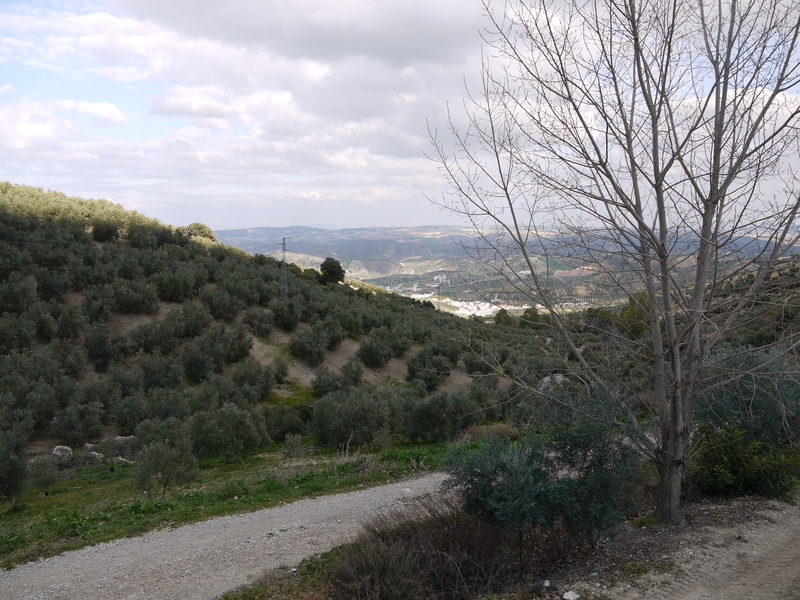 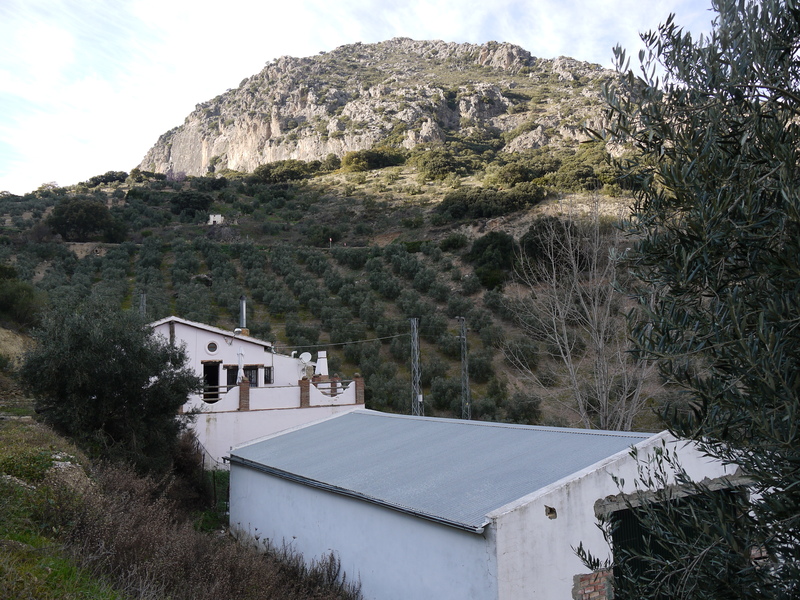 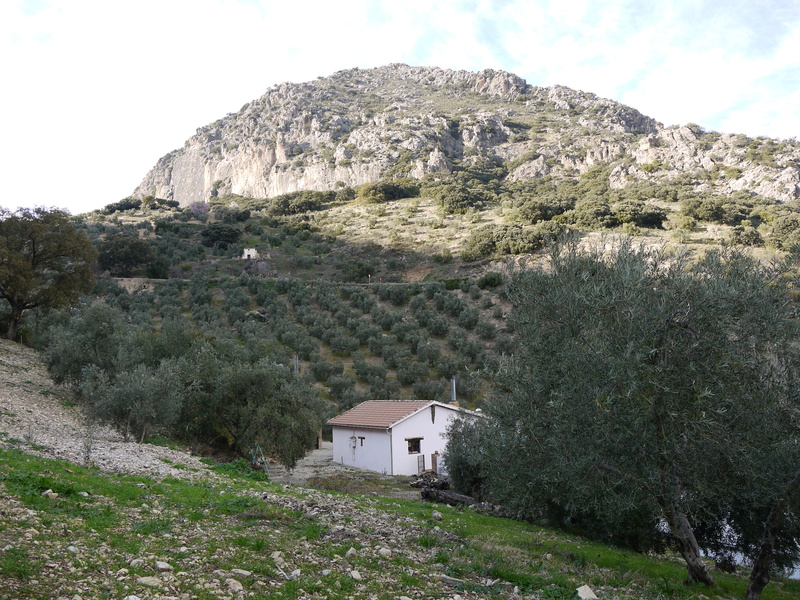 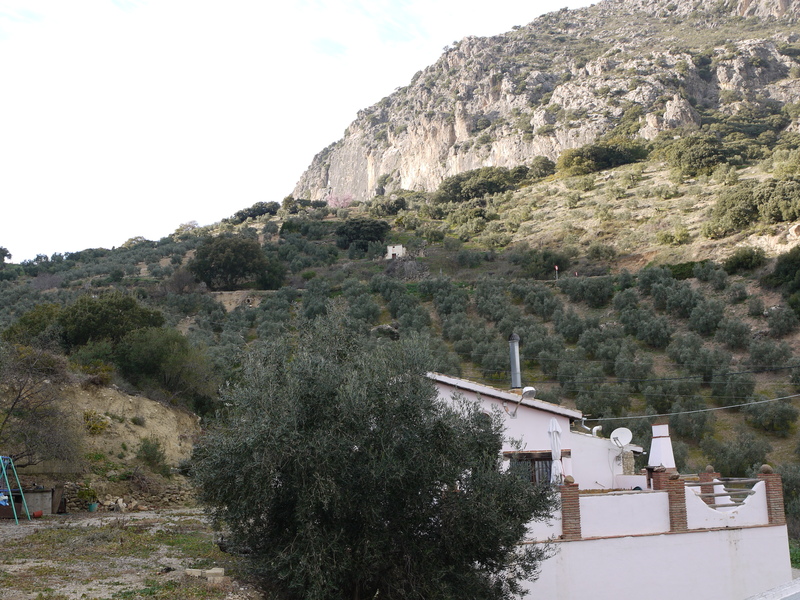 The land is typical olive trees with going up the hill to the side of the house and the track in-front of the house. 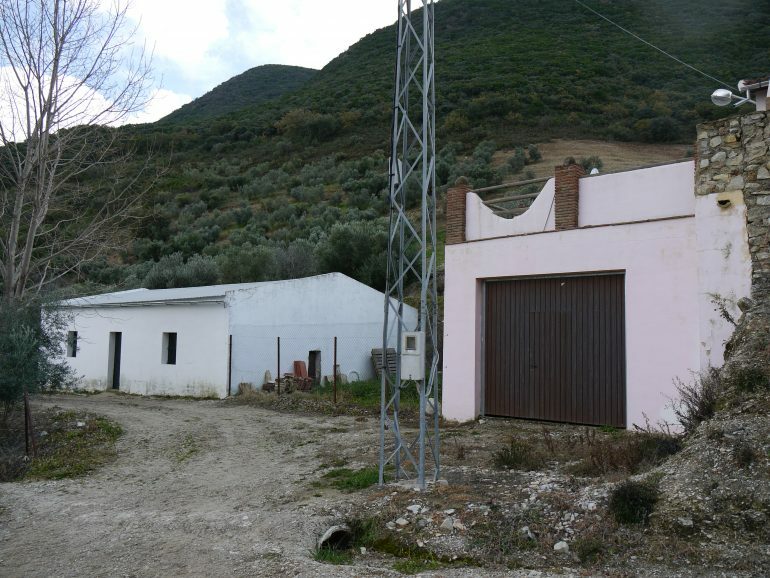 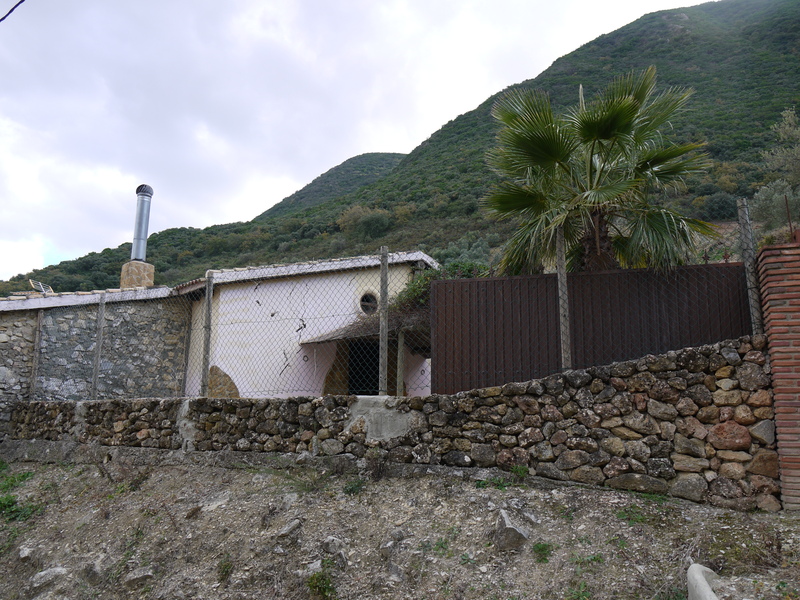 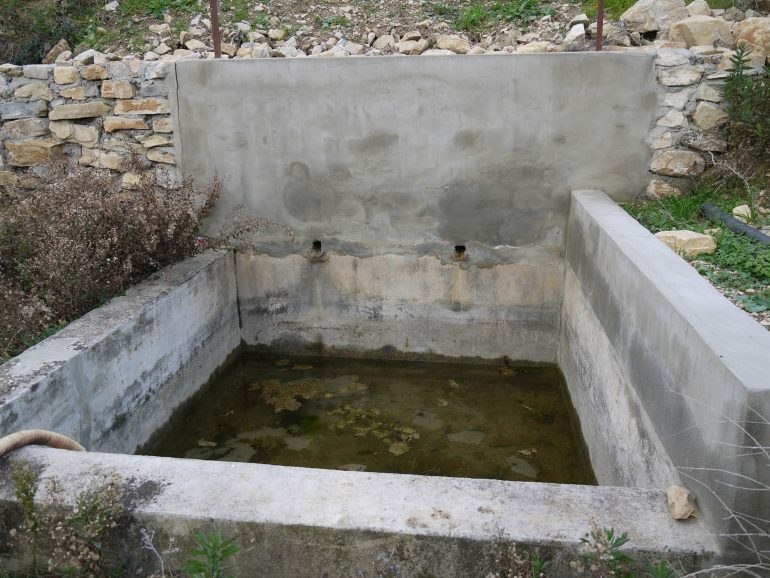 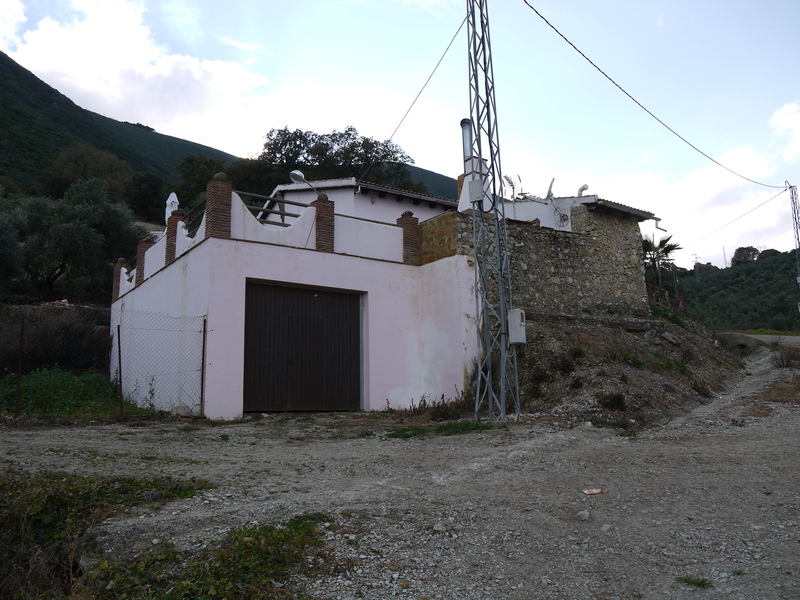 There is a alberca on the land which the owners have previously used as a summer pool, the property has 2 wells with abundant water fed by pump to the house and mains electric supply, there is an 80 square meter Almacén which could work as a work shop, stables or use for storing agricultural equipment .